The appearance of hair plays an important role in physical appearance and self-perception so it can be devastating to experience hair loss — especially when there doesn’t seem to be anything you can do about it. But poor nutrition, including vitamin deficiencies, is a major factor of hair loss. Did you know there are vitamins for hair growth? These natural hair loss remedies work to fix the root of the problem, like regulating your hormone levels or fighting oxidative stress that increases with age. Fewer than 45 percent of women go through life with a full head of hair, while a majority of men go through some type of hair loss in their lifetimes. The hair care industry knows that consumers have a great desire to look youthful, now more than ever, so it constantly delivers new products that promise to promote hair growth. But before you spend your money on yet another product that may leave you disappointed, try using these vitamins for hair growth (or hair vitamins, as I sometimes call them) first. The truth is that hair loss is a complex process that involves various genetic, hormonal and environmental mechanisms. Just like our skin, the hair follicle is subject to intrinsic and extrinsic aging. Intrinsic factors include our genetic and epigenetic mechanisms; extrinsic factors include smoking, UV radiation and poor or insufficient nutrition. Sometimes hair loss is due to a vitamin deficiency. Luckily, a deficiency can be corrected by adding vitamin-rich foods to your diet or using supplementation. Some vitamins have antioxidant properties that help fight the extrinsic factors of hair loss and some vitamins help the body balance hormone levels, another factor that inhibits hair growth. Fish Oil | Oils rich in different fatty acid species have been used extensively in both animal and human studies to evaluate the effects on skin and hair health. Omega-3 fats nourish the hair, support hair thickening and reduce inflammation that can lead to hair loss, which is why fish oil benefits hair. It is one of the top six vitamins for hair growth. Zinc | Oral zinc compounds have been used for decades for treating disorders (such as telogen effluvium and alopecia areata, forms of hair loss) because zinc benefits hair follicle health. Zinc is an essential co-factor for multiple enzymes and is involved with important functional activities in the hair follicle. Zinc is also a potent inhibitor of hair follicle regression and it accelerates hair follicle recovery. Studies suggest that some alopecia areata patients have zinc deficiency, and oral zinc sulfate therapy serves as an effective treatment. B-Complex Vitamin (Biotin & B5) | Biotin and pantothenic acid (vitamin B5) have been used as alternative treatments for hair loss. 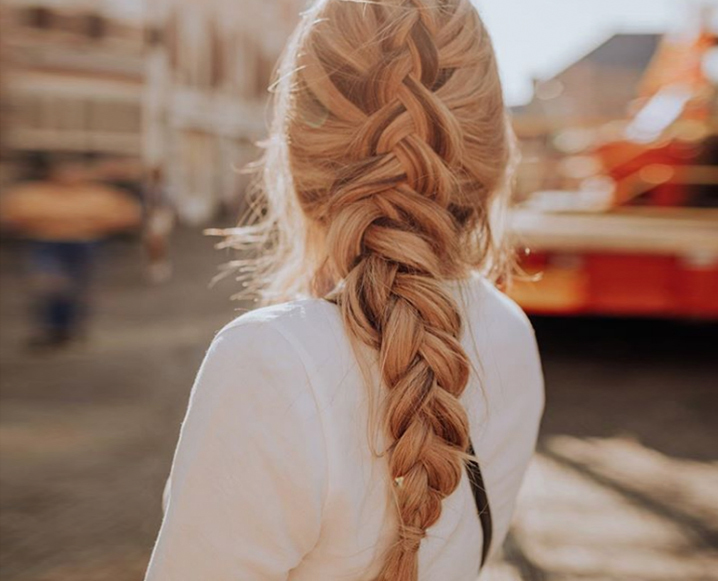 Biotin benefits your hair by rebuilding hair shingles that have been damaged from over-shampooing, exposure to the sun, blow-drying and ironing. Vitamin B5 supports the adrenal glands, which helps stimulate hair growth. A 2011 study published in the British Journal of Dermatology examined the ability of a leave-on combination including panthenol (the alcohol analog of pantothenic acid) to affect the diameter and behavior of individual terminal scalp hair fibers. The treatment significantly increased the diameter of individual, existing terminal scalp fibers. It also thickened hair fibers and increased the pliability, giving the hairs better ability to withstand force without breaking. A major sign of a biotin deficiency is hair loss. A deficiency can be caused by smoking, impaired liver function or even pregnancy. Research suggests that a substantial number of women develop a biotin deficiency during normal pregnancy because the rapidly dividing cells of the developing fetus require biotin for synthesis of essential carboxylases and histone biotinylation. Researchers conclude that signifiant alternations in markers of biotin metabolism during pregnancy and breastfeeding suggest that biotin intakes exceed current recommendations in order to meet the demands of these reproductive states. To reverse hair loss and increase hair strength, take one B-complex vitamin tablet daily or take biotin and vitamin B5 separately. Eating biotin andvitamin B5 foods, such as eggs, beef, chicken, avocado, legumes, nuts and potatoes, also helps you to avoid a deficiency and aid hair growth. Vitamin C | Experimental evidence suggests that oxidative stress plays a major role in the aging process. Reactive oxygen species or free radicals are highly reactive molecules that can directly damage cellular structural membranes, lipids, proteins and DNA. With age, the production of free radicals increases and the amount of antioxidative enzymes that defend the body decrease, leading to the damage of cellular structures and the aging of hair. By working as an antioxidant, vitamin C fights oxidative stress that contributes to hair graying and hair loss. To fight free radical damage and protect the hair from aging, fill up on vitamin C foods like oranges, red peppers, kale, Brussels sprouts, broccoli, strawberries, grapefruit and kiwi. If you need supplementation, take 500–1,000 milligrams of vitamin C twice daily as an antioxidant. Iron | Several studies have examined the relationship between iron deficiency and hair loss, and some suggest that iron deficiency may be related to alopecia areata, androgenetic alopecia, telogen effluvium and diffuse hair loss. Vitamin D | Hair follicles are highly sensitive to hormones, and vitamin D is a hormone that plays an important role in calcium homeostasis, immune regulation and cell growth differentiation. In the scientific world, it’s well known that alopecia areata is commonly found in patients with vitamin D deficiency, vitamin D-resistant rickets or vitamin D receptor mutation. Rosemary Essential Oil | When applied over the scalp, rosemary oil is believed to increase cellular metabolism that stimulates hair growth. A 2013 study conducted at Kinki University in Japan found that rosemary leaf extract improved hair regrowth in mice that experienced hair regrowth interruption induced by testosterone treatment. A human study conducted in 2015 investigated the clinical efficacy of rosemary oil in the treatment of androgenetic alopecia. Patients with androgenetic alopecia were treated for six months with either rosemary oil or minoxidil (2 percent), which served as the control group. Minoxidil is a medication used to stimulate hair growth and slow balding. After six months of treatment, both groups experienced a significant increase in hair count. Scalp itching, however, was more frequent in the minoxidil group. The study proves that rosemary oil is just as effective as hair growth medications (with fewer side effects) such as scalp itching. Aloe Vera Juice and Gel | Aloe vera has nourishing properties and tons of vitamins and minerals that help to keep your hair strong and healthy. Aloe vera benefits have been known for centuries because of aloe vera contains health, beauty, medicinal and skin care properties. It soothes and conditions the scalp, providing the ideal environment for hair growth. You can apply aloe vera gel directly to the scalp or add it to a gentle and natural shampoo. To take aloe vera internally, drink about a half a cup of aloe vera juice twice daily. The healing properties boost dermatological health. A 2012 study published in Anatomy & Cell Biology found that aloe vera gel reduced inflammation and had notable wound-healing effects when used on rats after a surgical incision. Not only did aloe vera promote rapid wound closure, but it also enhanced hair growth at the sight on the incision. Aloe vera has also been reported to have a protective effect against radiation damage to the skin, which can lead to hair loss. Following the administration of aloe vera gel, an antioxidant protein called metallothionein is generated in the skin, which scavenges free radicals and prevents UV-induced suppression. Because of aloe vera’s antibacterial and antifungal properties, it also helps eliminate dandruff — perfect for people who want fuller hair and want to know how to get rid of dandruff — and the gel’s enzymes can rid the scalp of dead cells and promote the regeneration of skin tissue around the hair follicles. Share the post "How To Get Healthy Hair: 9 Supplements That Actually Work"
Interesting. The best herb ever I found to support hair is Fo Ti. Luckily I never had problems with my hair but I wanted to retard greying and this certainly is helping when you take it religiously. And it makes you hair grow faster. I don’t think it makes it thicker but it grows very quickly and healthy. For anyone with hair issues definitely worth giving a try.